Over the next few weeks as holiday schedules permit, I’ll be recapping a few of the new offerings I found at the RVIA trade show in Louisville last week. 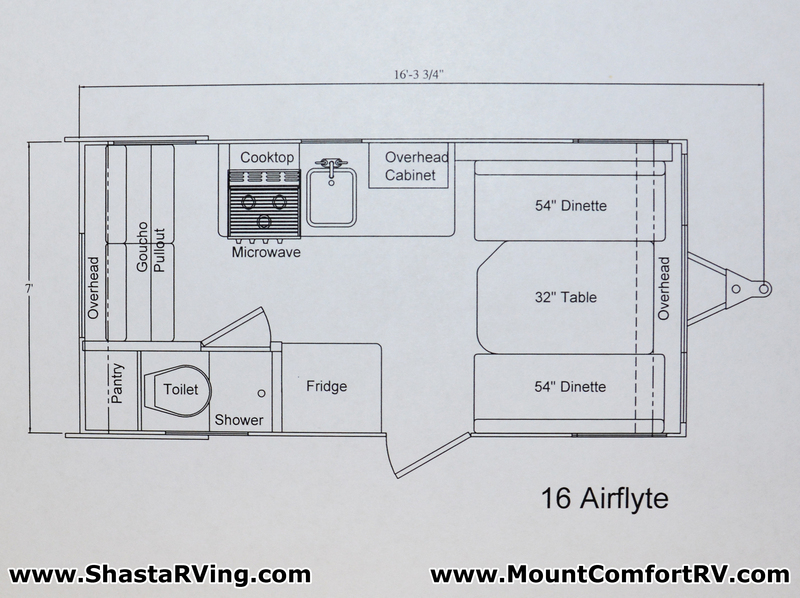 Shasta RV debuted a new floor plan for their Flyte brand. 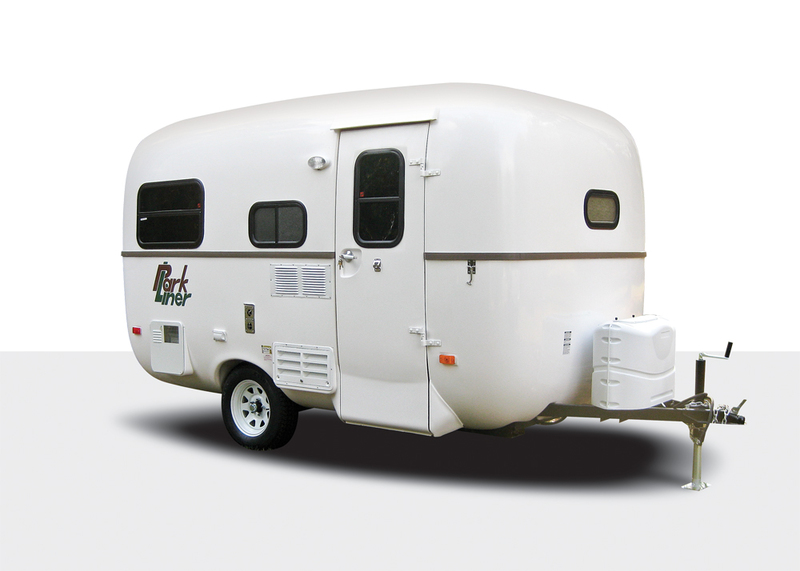 The Flyte 185BH is the somewhat more upscale version of the Shasta Oasis 18BH. As with all Flyte floor plans, the 185BH will have a fiberglass exterior and a few extra amenities the Oasis does not offer. 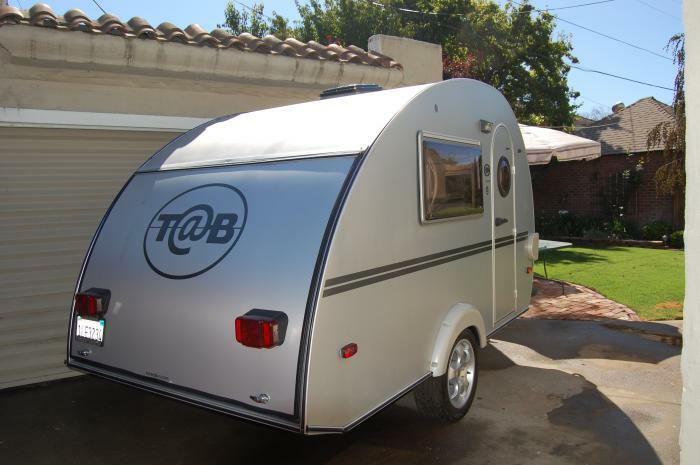 Last April I wrote about the Oasis version, both the 18BH (bunkhouse) and the 18FQ in a post here. The 2016 models on the Flyte will have a light brown exterior as opposed to the white sides the Flyte has had, giving it a more contemporary look. 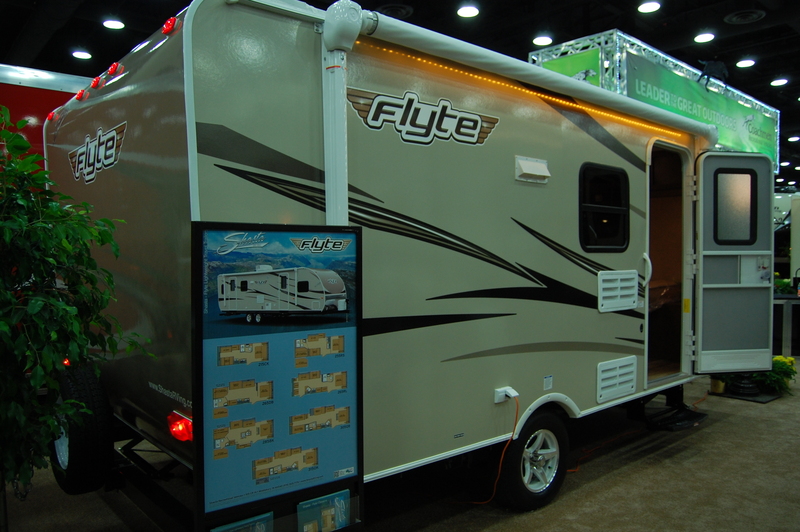 The addition of LED awning lights is something new for the Flyte as well. Although the entire length from hitch to tail is just over 21′, the 185BH is surprisingly roomy. Despite not having a slide, a small family should be able to camp in the 185BH quite comfortably. 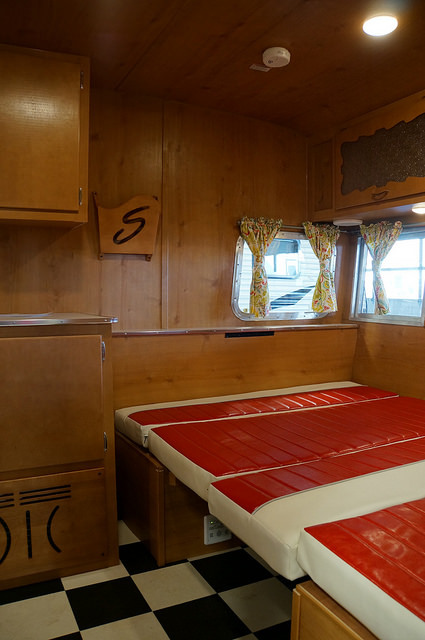 The beds include two 30″ x 74″ bunks as well as the standard Shasta 60″ x 74″ queen bed. Storage is of no concern. There is ample pass through storage in the front, but interior storage is quite ample for a smaller, weekend trailer like the 185BH. The overhead cabinets are plenty and the kitchen area also includes a pantry and a spacious counter for food prep. If that weren’t enough, there’s a huge cabinet in the bathroom against the rear wall of the trailer. 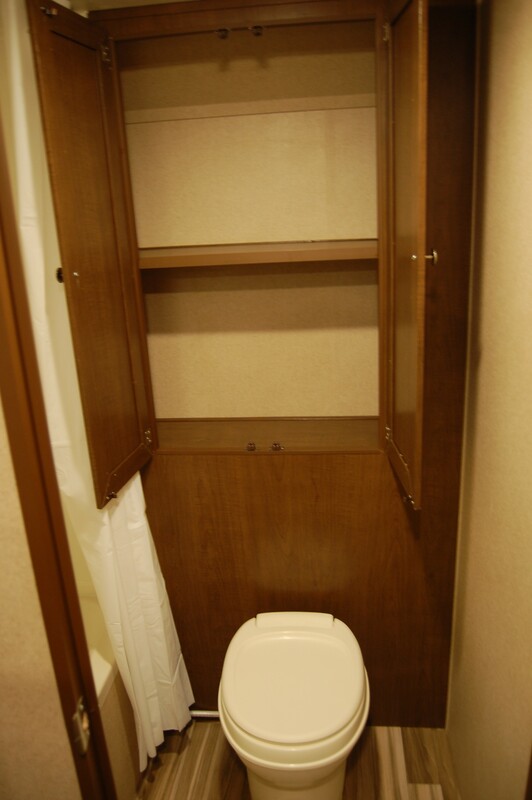 It seats right behind the foot flush toilet and includes two large cabinet doors that provides storage all the way to the sidewall on the door side of the trailer. 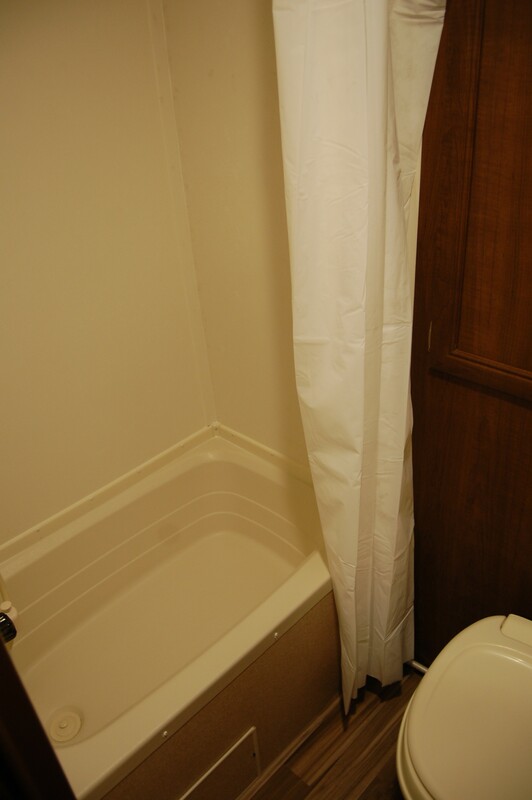 Aside from the toilet and the storage cabinets, the bathroom also includes a 24″ x 36″ bathtub and an overhead exhaust vent. Overall, I was very pleased with what I saw with the Flyte 185BH. 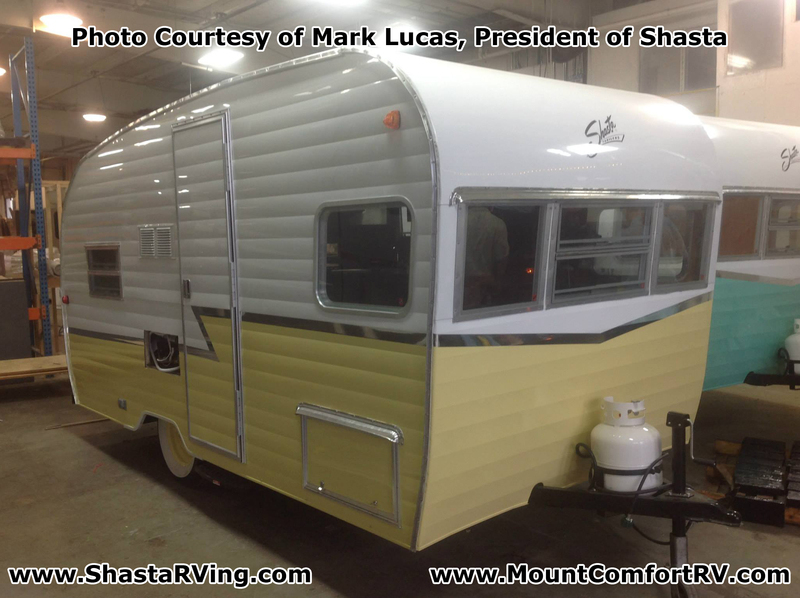 Being a 2016 Shasta Oasis owner, I’m able to use my own trailer as a benchmark, and I believe Shasta has stepped up their game in regards to fit and finish just in the last 9 months. 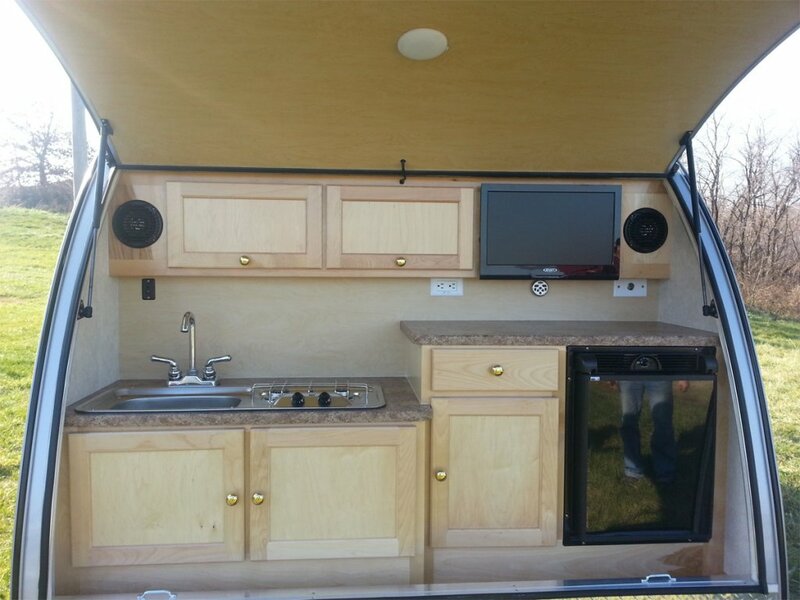 The Flyte at the Louisville show as well as a couple of Oasis 18BH that I walked through recently at Mount Comfort RV in Greenfield, Indiana have all appeared to have better workmanship than what I’ve seen in my own. As for a few specs, the 185BH Flyte weighs in at 3580 lbs and measures 21’9″ long with a hitch weight of 381 lbs and a cargo carrying capacity of 1101 lbs. The tanks are more than ample for a trailer this size as well: Fresh water is 42 gallons, and the gray and black tanks each are 36 gallons. 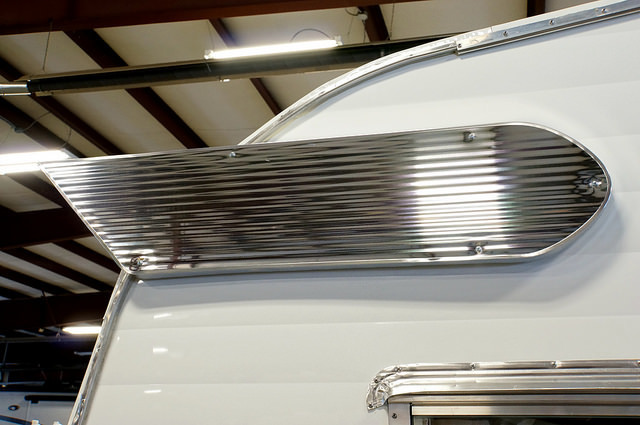 The LED lit awning measures 12′ long. Overall, my impressions of the Shasta Flyte 185BH are very favorable. 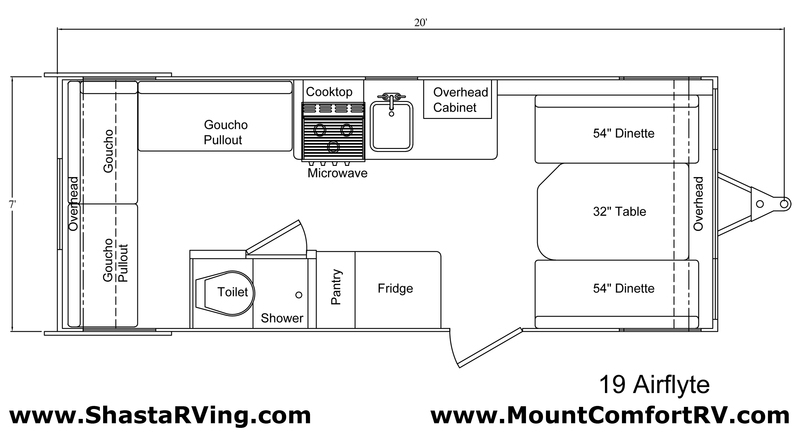 If you’re a storage junky, the Flyte 185BH offers the best storage for this particular floor plan, a floor plan several RV manufacturers use. And the cost is nothing to sneeze at either, as it should retail in the mid-$14,000’s when it hits dealer lots in early 2016. 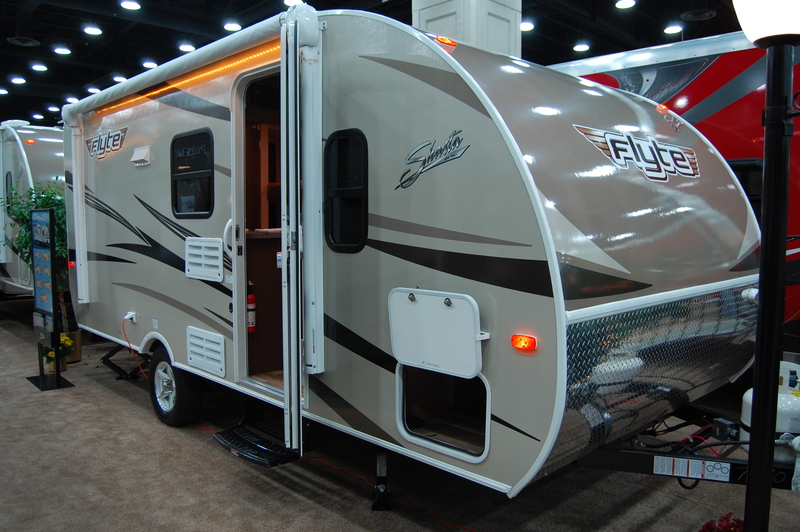 Shasta prides itself on being the RV industry’s value leader, and the Flyte 185BH certainly adds to that reputation. 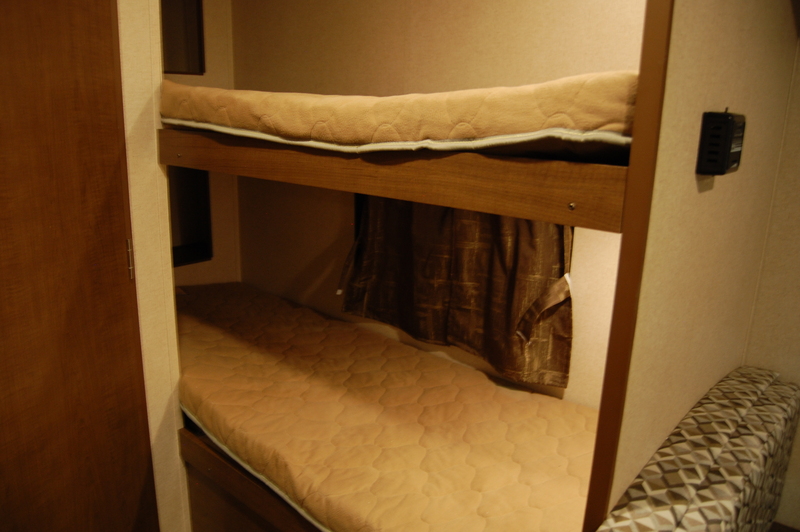 Not interested in bunks? No worries, the Flyte 185FQ will be out as well, which will be the same floor plan as the Oasis 18FQ discussed in the previous article linked above from April of 2015. 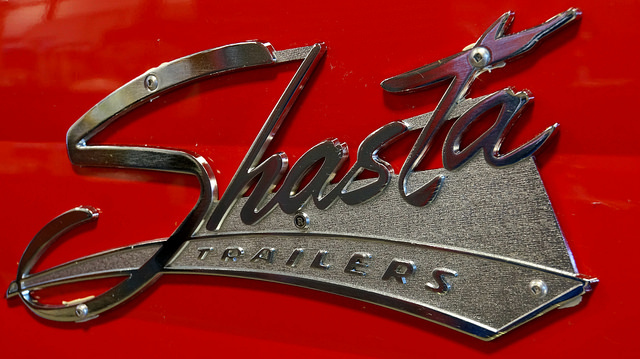 NOTE: As of today, December 10, 2015, neither the 185BH nor the 185FQ are listed on the Shasta website. Keep checking their website at http://shastarving.com for updates and floor plans. 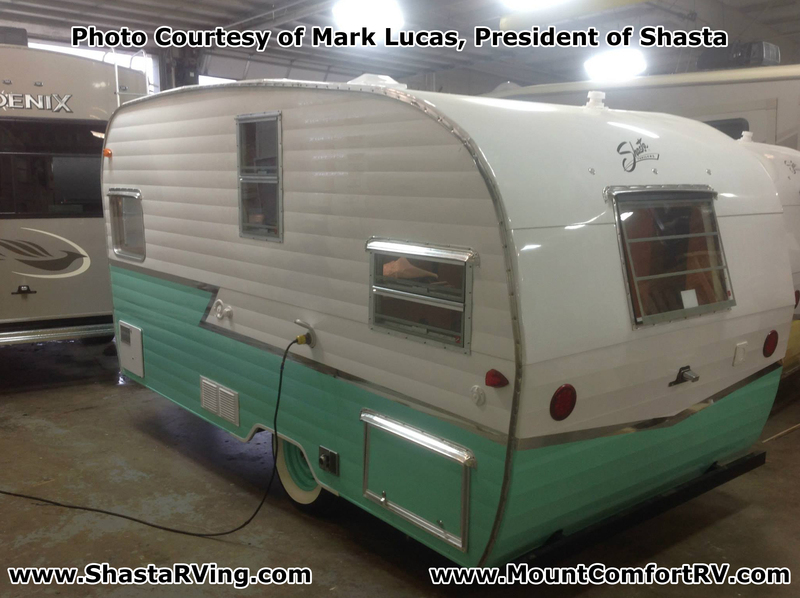 As posted on the Mount Comfort RV Facebook page, Shasta RV president Mark Lucas released additional photos of the 2015 Shasta Airflyte reissue. The new photos show the Butternut Yellow and Seafoam Green color schemes. With the Matador Red scheme that initially debuted in July, this completes the three colors available of the 1,941 Airflytes to be produced. 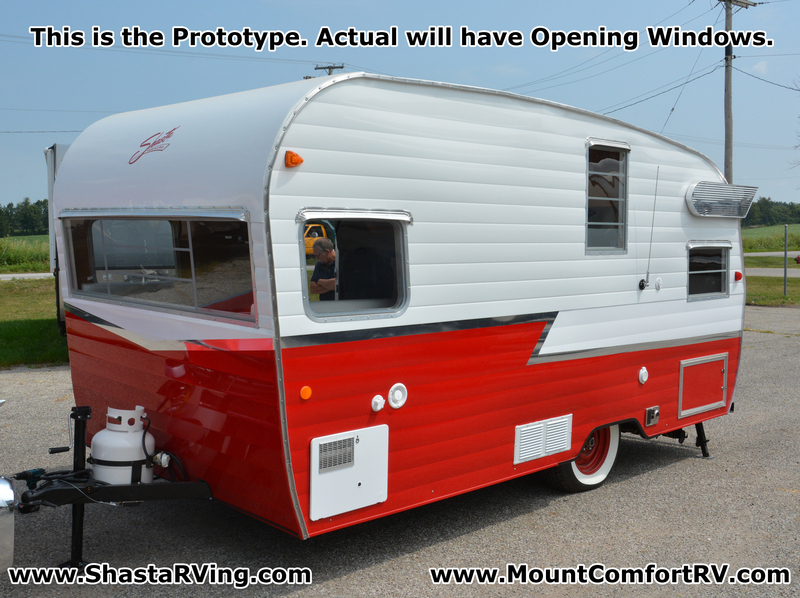 According to Mount Comfort RV, most of the 1,941 units have been spoken for and it’s anticipated the last couple hundred will be reserved within the next week. Production of the 16′ and 19′ models will start September 22. 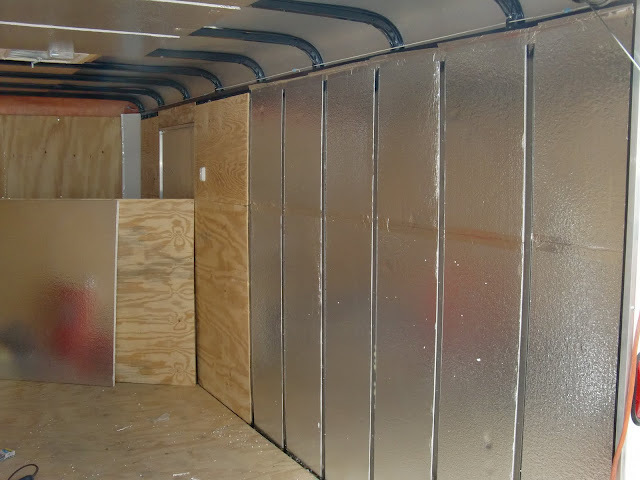 How many times have you passed (or been passed by) a small cargo trailer on the highway and wondered what was inside? Could they be hauling a lawnmower heading for a non-descript business park to cut their grass? Could they be hauling dirt bikes or ATVs heading for some weekend fun? Could they be hauling construction materials heading for a house to drywall? For one California man, the answer to that would be “none of the above”. Jerry’s (last name with held upon request) 2007 Lark cargo trailer hauls his camping weekend with him. 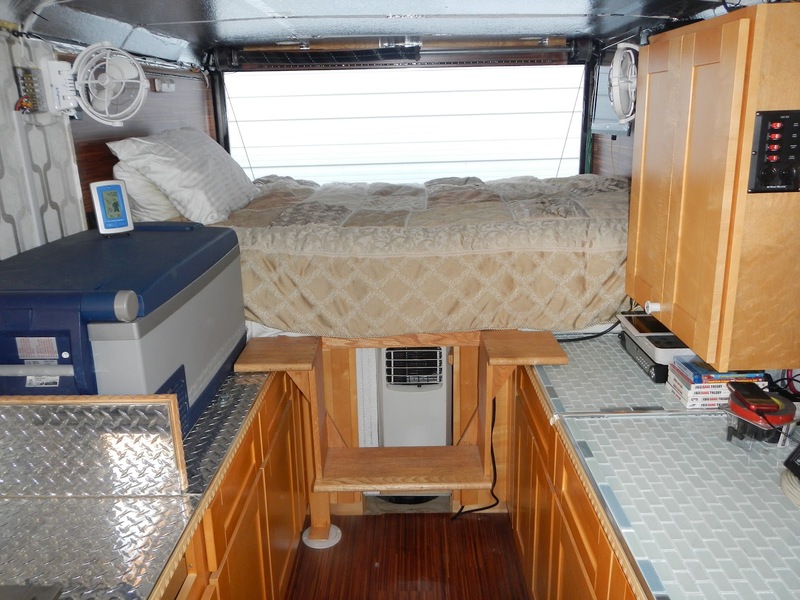 Since buying his 16′ Lark new from the factory in 2007, Jerry took the empty shell and has made it into a 16′ comfort castle on wheels. 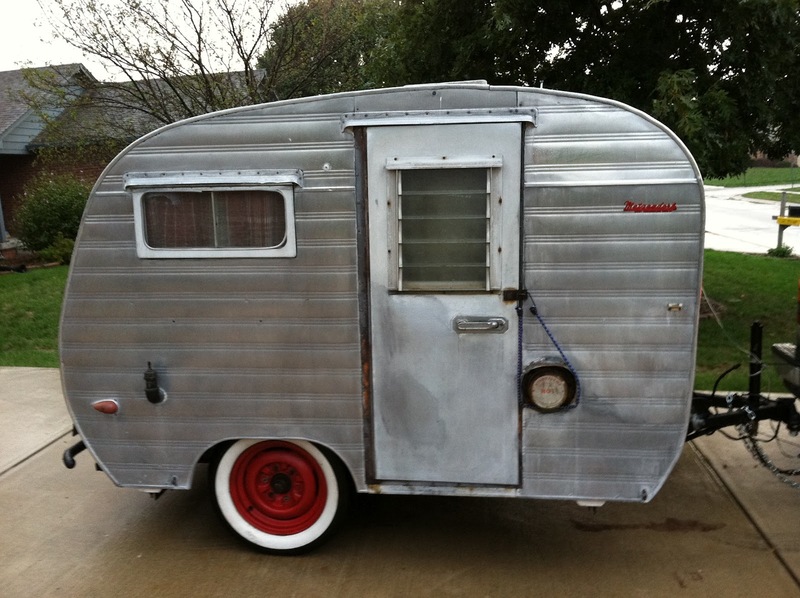 Inspired by the Tiny House Blog, the affectionately named “Over The Top Cargo Trailer” doesn’t look like a tiny house. 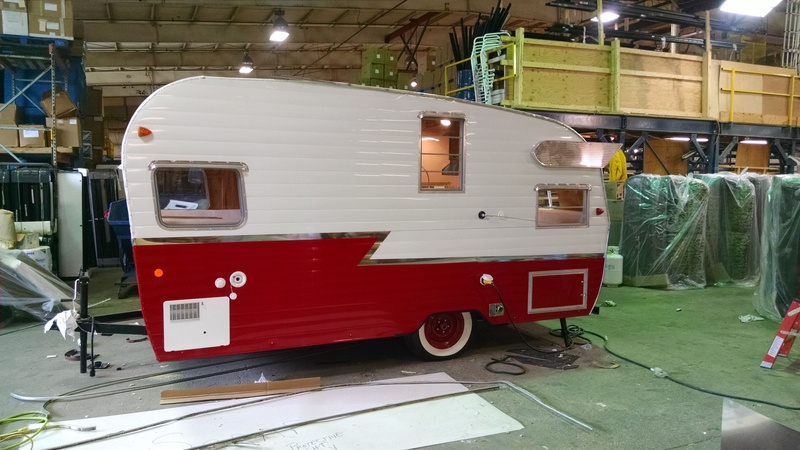 Says Jerry, “I just did not want it to look like a house on wheels on the outside and attract too much attention while on the road; it would fit more inside an Airstream Bambi if the panels could be bent.” The OTTCT is 95% complete, and Jerry estimates it weighs somewhere north of 6,000 lbs. He’s put some 500+ hours of labor and $25,000 into the project. Jerry’s designed the OTTCT to be energy efficient as well, utilizing over 1500 watts in solar panels, powerful enough to run the on board 5,000 BTU air conditioner. 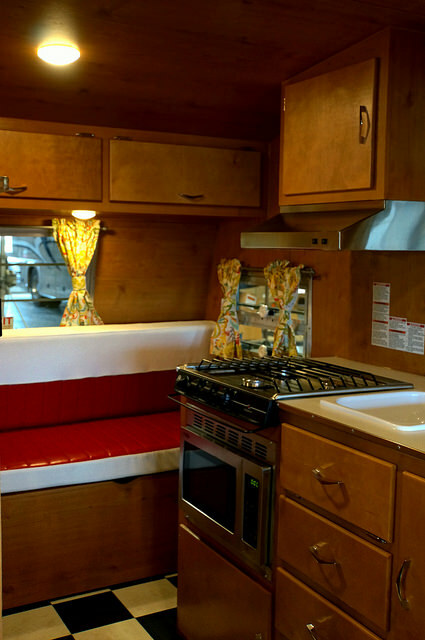 The features on the OTTCT seem endless, including 2 37 gallon water tanks, 2 20 gallon propane tanks, reverse osmosis water filtration, a 26″ TV with DVD player, and 15′ of kitchen cabinets. 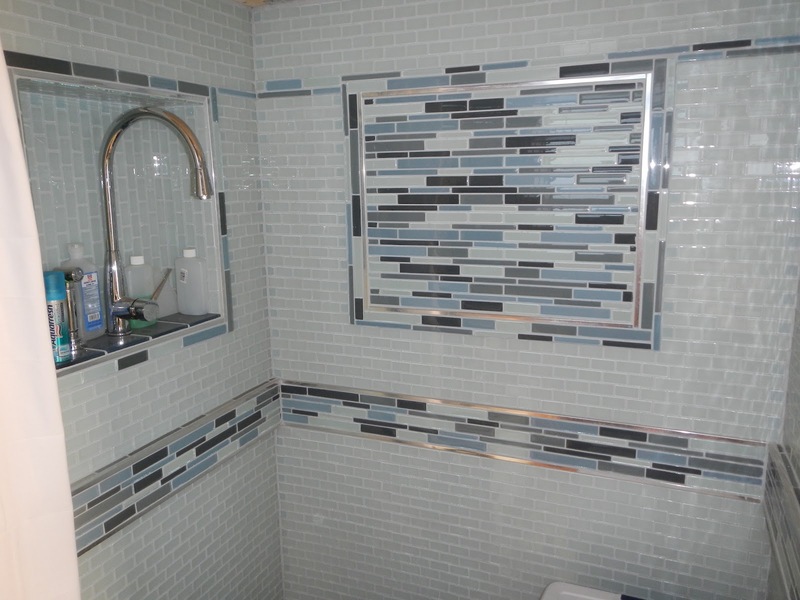 One of the finest pieces of Jerry’s work is in the 36″ X 48″ glass tile shower. 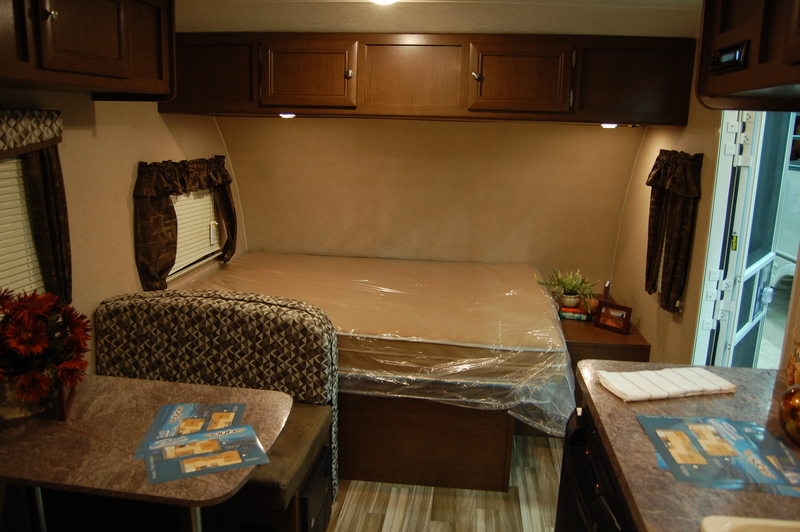 The 7′ width provides ample interior room to roam as well as space for the full size bed in the rear. 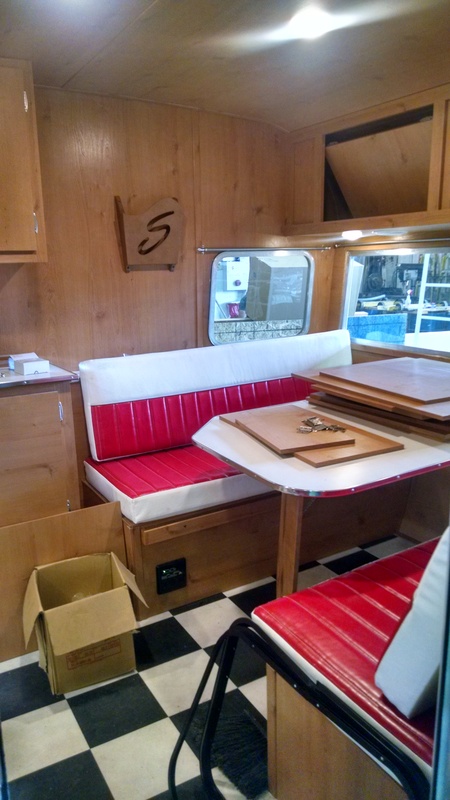 The cargo trailer to camper conversion “subculture” is starting to take root as a niche segment of the travel trailer industry. 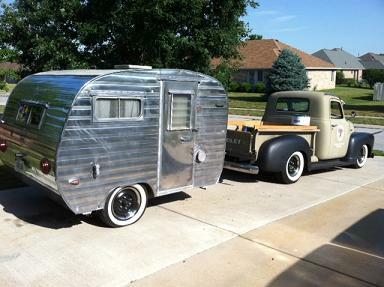 Granted, it’s entirely a do-it-yourself segment, but as popularity increases, it could easily grow into a business for those, like Jerry, who have the skills to transform a shell and make it into a comfortable living space with as many (if not more) amenities as a standard, mass-produced travel trailer. While September 7 marks the anniversary of the first post of The Small Trailer Enthusiast (“The STE”), September 3 marked the first anniversary of the creation of the site. Since I was on the road on the 3rd finishing a Labor Day weekend road trip circling Lake Michigan, I wasn’t able to post this. I still want to take this time to give my thanks to all of you who take the time to read the ramblings of an RVer like you. As I look through the stats of the site every few days, I see a wide range of search terms from people from all over the world. That first month saw minimal traffic of around 15 visitors per day. A year’s worth of content feeding into Google, Bing, and other search engines has helped grow our traffic to just under 500 visitors per day. Much of the search content is on specific models we’ve highlighted, but there is also a lot of searching for just information on small trailers. 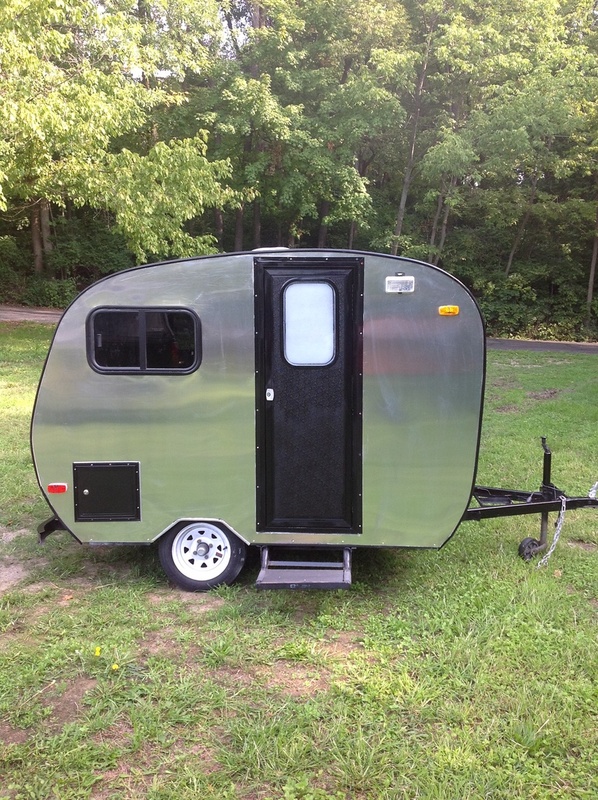 That’s the reason the idea of this blog came to me in the summer of 2011: To create a clearinghouse of stories and resources to help other devotees of small trailers find the trailer of their dreams. And from what I have seen, this is the only game in town. As much as I get a charge out of getting a scoop that none of the big RV media outlets have done, I get as much satisfaction in the e-mails I get from the readers. 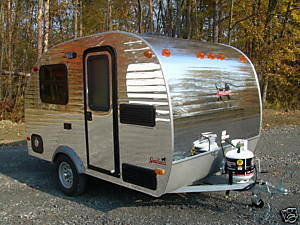 I’ve found through their e-mails that there are more out there like me…people who just love reading about small trailers. 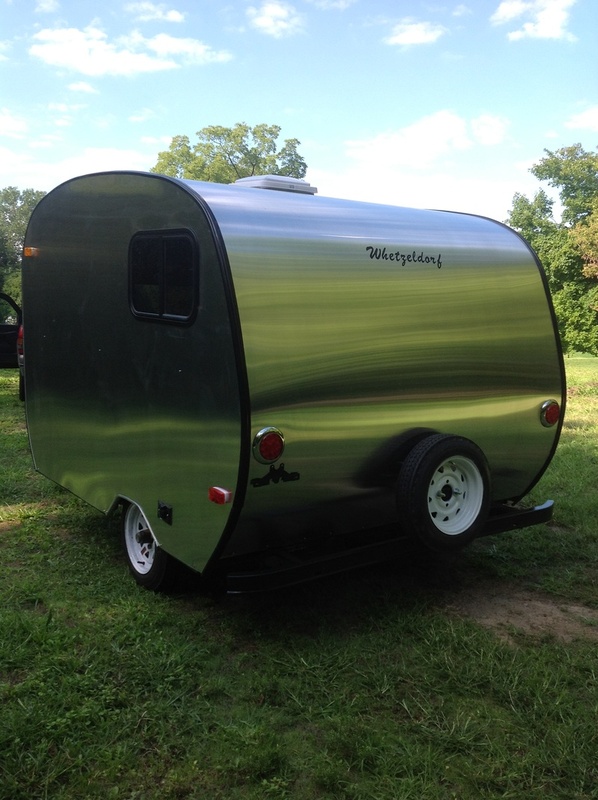 The readers have also been a great resource by telling me about a particular brand of trailer that I should put up on the Manufacturers page, or those who are having trouble deciding what to buy and are searching for advice. A few other highlights over the past year have included being featured on other blogs, being mentioned on manufacturers’ web sites, getting our first site sponsor, and getting access to the RVIA trade show in Louisville. 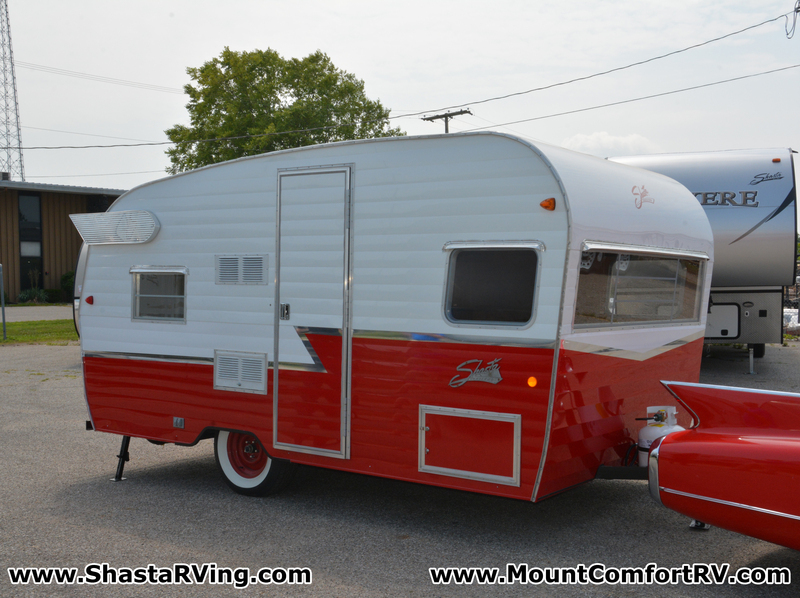 There have been individuals in the RV industry who’ve helped provide me with the content that ends up as blog posts. There are too many to name and surely I’d leave someone out, but you all know who you are. And the admiration I get from readers for how the site is set up, well, credit for that can go to someone not involved in the RV industry. 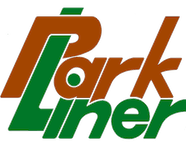 As I’ve mentioned before, this site was modeled after Ron Warnick’s Route 66 News, the premier news site pertaining to America’s favorite highway. 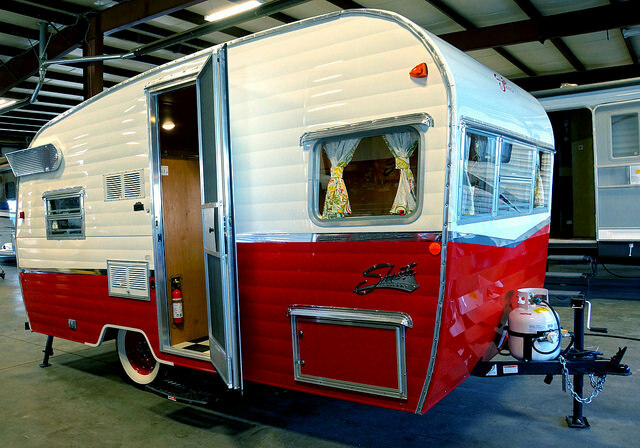 The STE, like Route 66 News, is not only a site for news stories, but also a resource center, whether you’re looking for manufacturers, online forums, or other info pertaining to small trailers or camping. 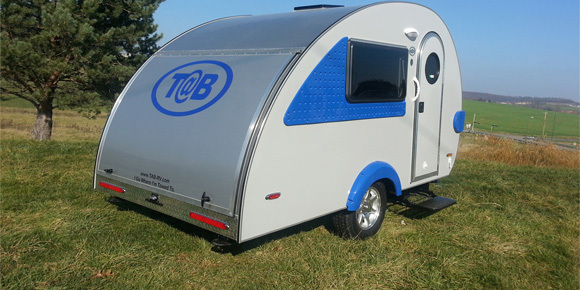 While I try to stay impartial regarding trailer brands, I will confess that I give special attention to the small companies trying to make their mark in a highly competitive and volatile industry. I really want to see guys like Dan Sutton, Larry Drake, and Ted Simpson do well, and if I can use The STE as a platform to get their message out about their unique offerings, that’s what I’ll do. 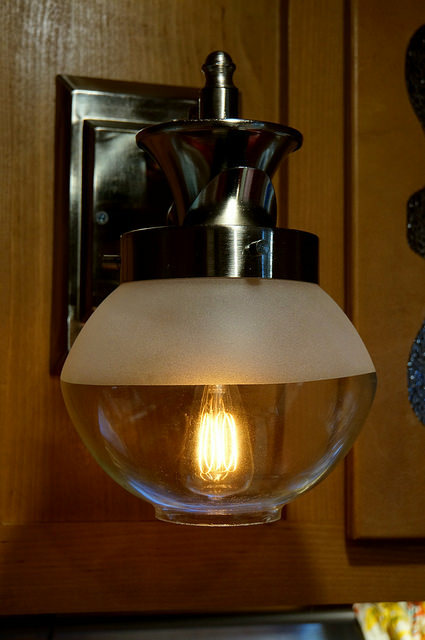 It’s my hope that all manufacturers, big and small, do well and have many years of production. Some may be discussed in blog posts, or others may just appear as a link in the Manufacturers page. Regardless of who they are, they’re on here for the readers to find and determine if that’s the trailer that fits their needs. That’s the core mission of The Small Trailer Enthusiast.